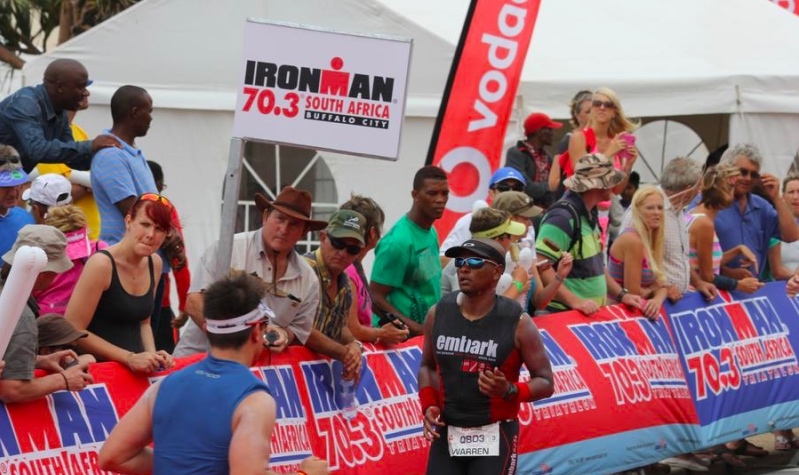 The sporting activities include the 70.3 Standard Bank Ironman Triathlon which is in 12th year as well as the Nedbank Cup Ke Yona Round 32 match between local side Tornado Football Club and Kaizer Chiefs Football Club. Both events will take place on Sunday 27 January with the race kicking off at 6am at the Orient Beach and the soccer game taking place at the Mdantsane’s Sisa Dukashe Stadium at 3pm. Entrance is free for the triathlon race and it starts at 6.30am. Tickets for the soccer game are available at Ticketpro for R40 for adults and R15 for children. Gates will open from 1pm. The public is warned of road closures for the two events. BCMM Spokesperson Samkelo Ngwenya described the events as the right tonic to position the City for major events in 2019. “As hosts of such an important sporting events, Buffalo City receives international and local reviews. These events give the city an opportunity to show the world the true South African hospitality as well as boosting tourism and adding to the economy of the City,” he said. Ngwenya said that the free publicity generated from broadcast platforms for the events run into hundred thousands of rands with positive economic spin offs for accommodation, travel, tourism and Small Medium and Micro Enterprise (SMMEs). The East London’s superb location, nestled in the incredible coastal area makes it a perfect host for this testing exceptional race. Weather predictions anticipate sunny conditions with temperatures maximising at 27 degrees. The race kicks off at 6am with a 1.9km swim at East London's Orient Beach. The football match will be a third major game hosted in Sisa Dukashe Stadium this month with Chippa United and the MDC diski weekend already been hosted. The City will implement its safety regulations to ensure an incident free event with the BCMM local organising committee’s safety and security cluster having held meetings with PSL, SAPS and Nedbank. • The race starts in the Orient Theatre parking. • Return via the same route and finishing at the Orient Theatre car park. • Right into Galway Road turning at the turning point in Galway Road and Return via the same route finishing at the Orient Pool. The right hand lane up Turnberry Avenue, left into Gleneagles Road and turning right into Galway Road will be closed for traffic. The left hand lane in Galway Road will be divided into two lanes. From N2 left into Beacon Bay off ramp, left into Bonza Bay Main Road, right into Batting Road, left into Old Transkei Road, right into Pearce Street, into Lukin Road, right into Oxford Street, left onto Amalinda Main Road to Voortrekker Road, left onto Voortrekker Road into R102, right at Ndevana/Ilitha Street and continue with the N2. From N2 left into Beacon Bay off ramp, right into Bonza Bay Main Road, right into Wyse Ave, left into Old Transkei Road, right into Pearce Street, into Lukin Road, right into Oxford Street, left into Amalinda Main Road to Voortrekker Road, left into Voortrekker Road, into R102, right at Ndevana/Ilitha Street and continue with the N2. From N2 right into Ilitha/Ndevana Road, left onto the R102 into Voortrekker Road, right into Amalinda Main Road, right into Oxford Street, left into Lukin Road, into Pearce Street, left into Old Transkei Road, into Batting Road, left into Bonza Bay Road, right onto the M10 and continue with the N2. • Traffic Officers to control traffic at Gate 1 and to ensure that no vehicles park or obstruct the entrance close to the gate. • It is to be noted that traffic officials are to control vehicular traffic and not access control to the stadium. Access control functions to be done by PSL and or VIP protection Services. • Traffic Officers to patrol the area and assist with traffic control. • Streets around the stadium will be closed off by barricades.